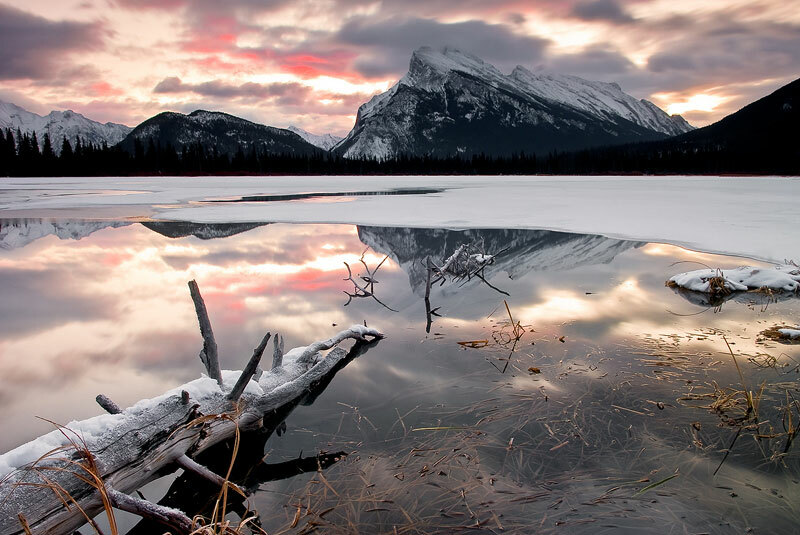 Sunrise at Rundle Mountain | Banff, Alberta. One of the most popular places to shoot in the Canadian Rockies, and sometimes the most spectacular as well. Photo taken from Vermillion Lakes near the town of Banff.